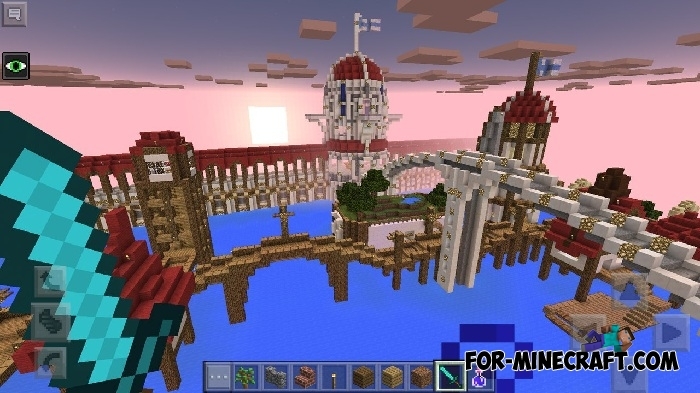 City of Sinureu 2 is a beautiful map with a fabulous town. There is a large and very beautiful town which is completely fenced with a wall and stands on the water. The buildings in this town are made in the medieval style. The town is not the same as everyone else, and the building have an unusual appearance. Also, you can survive in the town, because it is very well protected from the mobs. If you are bored with the usual city maps, make sure you download this, and enjoy the beauty of the unusual town!